It is also the definition used by researchers. It is this definition that I have used for this blog. 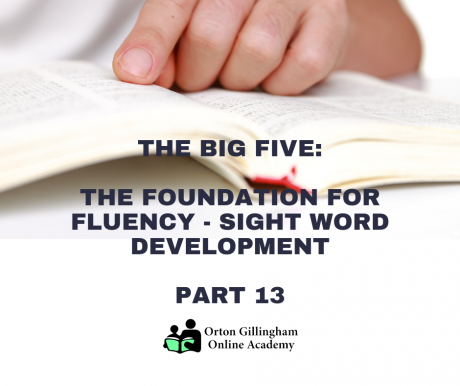 If you have been following my blogs on the Big Five, from the initial introduction to the National Reading Panel and the Big Five, you will now understand why a child requires a strong foundation in phonological and phonemic awareness, as well as phonics, to build their sight word vocabulary. Sight words are words that are instantly recognized, regardless of whether they are phonetically regular or irregular. You will also understand that without a large sight word lexicon, it is impossible for a child to become a fluent reader at their grade level. I have detailed this process starting from the first blog mentioned above; the entire series can be viewed here. Sadly, I have met too many children whose ability to decode a text has passed for fluency. They move from word to word decoding as they go. This is not fluency. 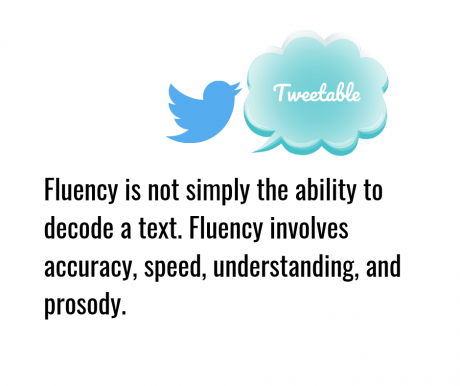 Fluency includes accuracy, speed, understanding, and prosody, and I shall detail more about these in my next blog. Here, I would like to say a little about speed. In light of this scientific evidence, I have moved my focus on speed away from timing a student’s speed of reading. Now, other than in an initial assessment of a child’s reading, where their reading is timed, I just listen carefully to see if a student is instantly recognizing most of the words in connected text, or whether they are actually still decoding them. I have a feeling that fluency programs which regularly time a student’s speed of reading can give them the impression that reading quickly is the desired goal, but this is not the same as reading fluently. In fact, I have a feeling that they may actually promote guessing and other habits seen in poor readers, as the child speeds through the text trying to beat their previous time. David Kilpatrick lists a number of indicators in his book, “Essentials of Assessing, Preventing, and Overcoming Reading Difficulties.” I’ve quote from his list, below. He does tell us they aren’t 100% reliable, but they can provide us with a good general idea that a word is part of a child’s sight vocabulary, or if they are being phonetically decoded or simply guessed. 1. The child can get the word correct in context, but not isolation. 2. The child pronounces a particular word inconsistently. 3. It takes the child a second or longer to begin a response to the word. 4. The child pronounces the word slowly. 6. The child pauses during the correct pronunciation of the word. 7. The child puts the stress/accent on the wrong syllable. 8. The child pronounces the word with at least one unusual sounding vowel or consonant, different from how the child would say the word orally. As we can see, fluency is, in David’s words, “largely a byproduct of the size of a student’s sight vocabulary.” In fact, having assessed a child’s ability to read words out of context, I have a good idea about whether they will experience fluency issues when reading connected text at a particular grade level. However, there are other factors that affect fluency, such as Rapid Automatic Naming (RAN), reading experience and understanding, and prosody. I will discuss each of these briefly in my next blog. 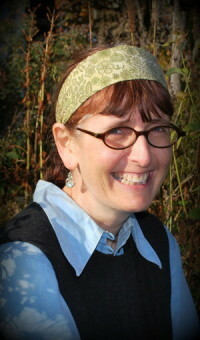 Subsequent blogs will cover them in more depth. For further ideas and training to develop a child’s sight word vocabulary, please check out the Orton-Gillingham Online Academy Website. 1. “Equipped for Reading Success:” A Comprehensive, Step-by-Step Program for Developing Phonemic Awareness and Fluent Word Recognition. David A. Kilpatrick, 2016. Published by Casey & Kirsch.